I managed to make it out six days in a row which is hard this time of year. None of the days were slick but they were all fishable. I only went to the floaters one time and did fairly well with six yf to 60 pounds. 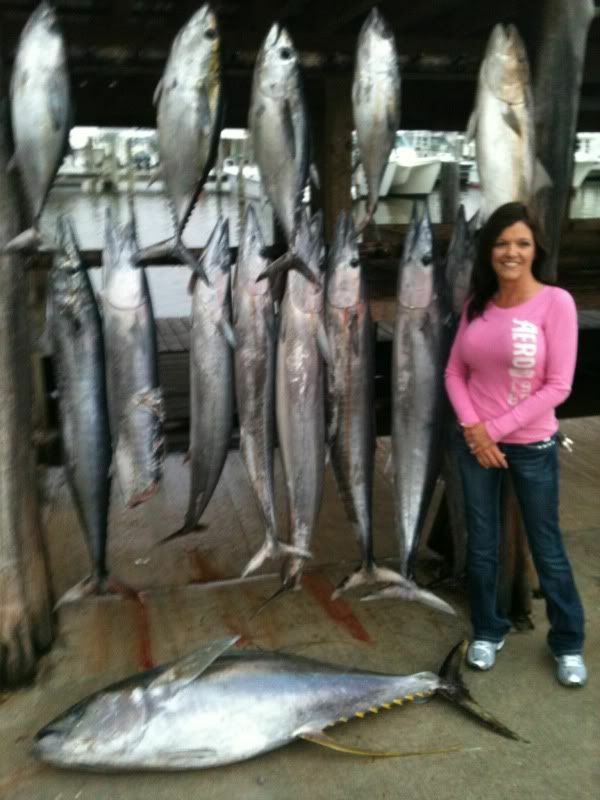 Most of the time I stayed on the shelf catching plenty of wahoo, amberjacks and a couple stud yfs. On day one I had Will and his buddies in from all over the country. 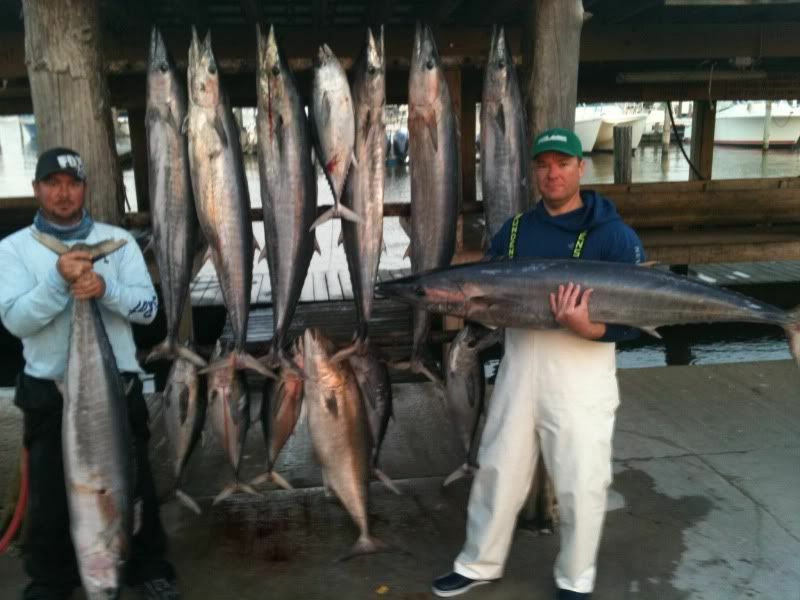 We picked up a couple hooters on the shelf and then a limit of ajs on the troll and six yf at a nearby floater.Day two I stayed on the shelf and slayed the wahoo. 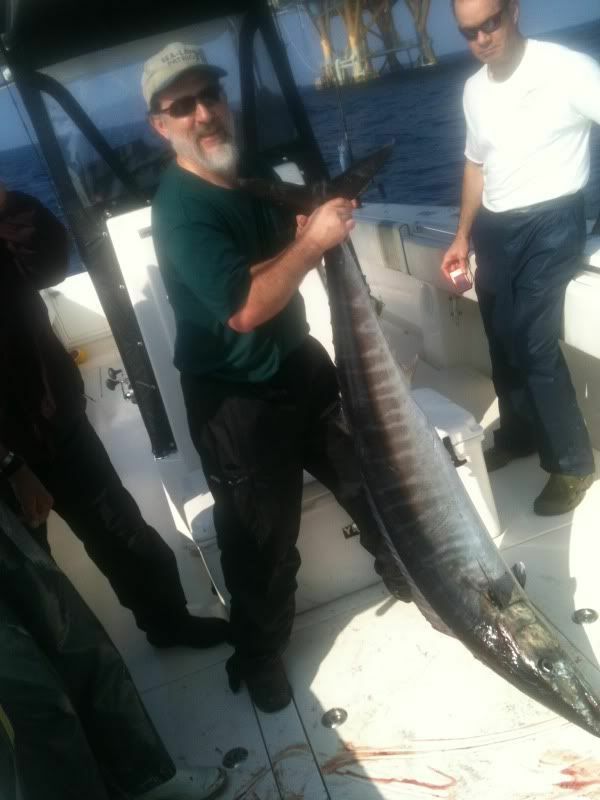 Lost quite a few and still ended up with 8 wahoo in the box on xraps and bombers Also pulled up a handful of bfs and one aj on the troll. DAy three and 4 I had Gerry Degrenova and his crew on the boat. 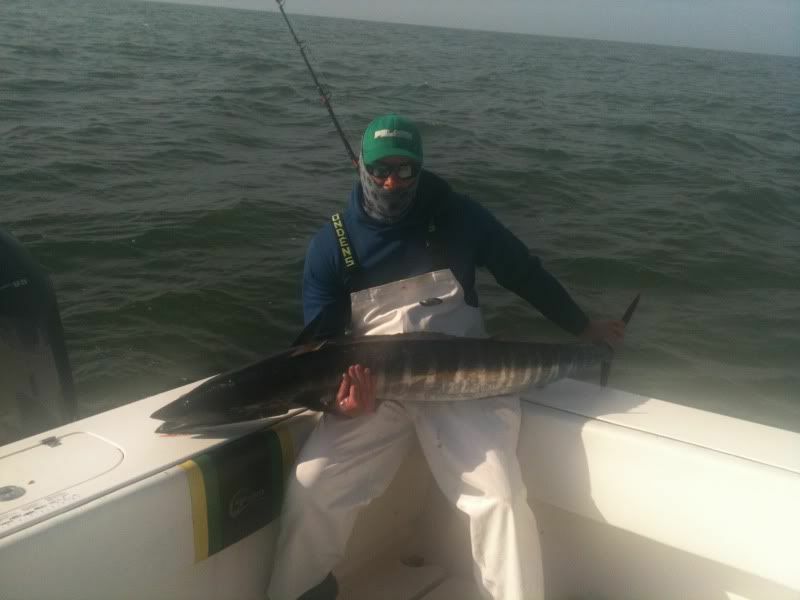 On day one I went out where I left the wahoo from the day before and put 5 in the boat to 85 pounds on the first spot. 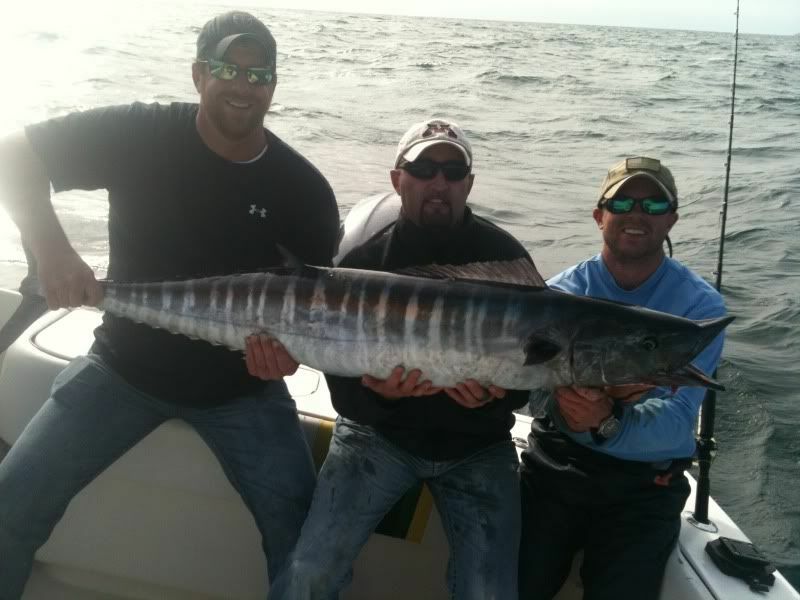 They backed down a little bit then and headed east and got 4 more wahoo in the boat. The last one was pretty small so we released it for good luck. 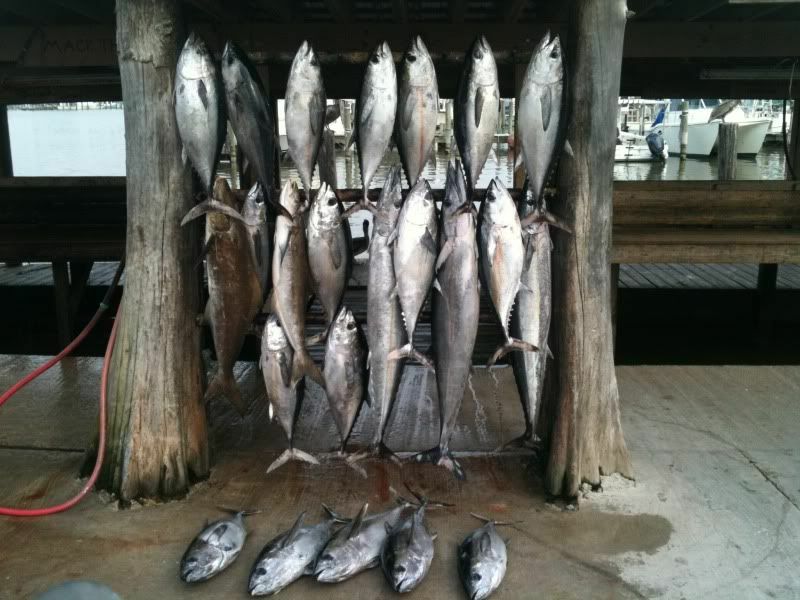 Started jigging for some bottom fish and added one scamp and a limit of ajs for the ride home. The next day we rolled east to look for some tuna. 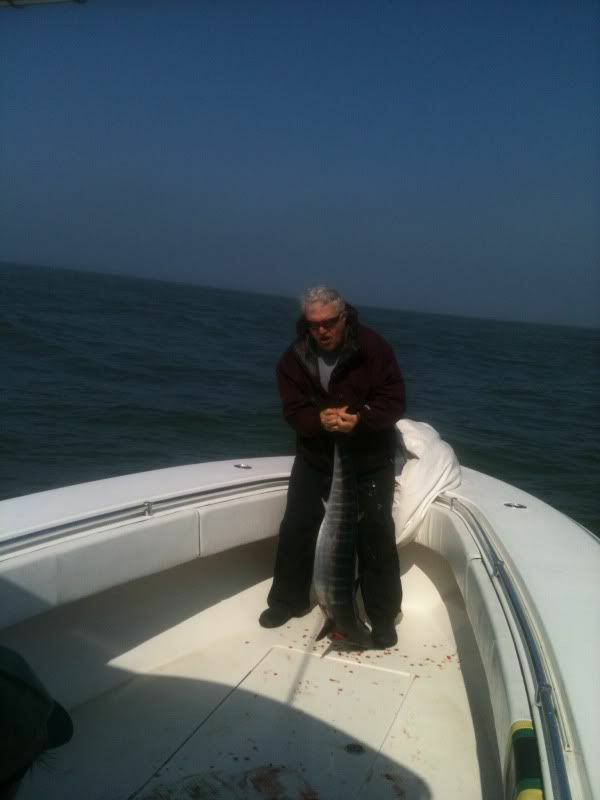 Started off with three wahoo and then a shrimpboat trawled past me. 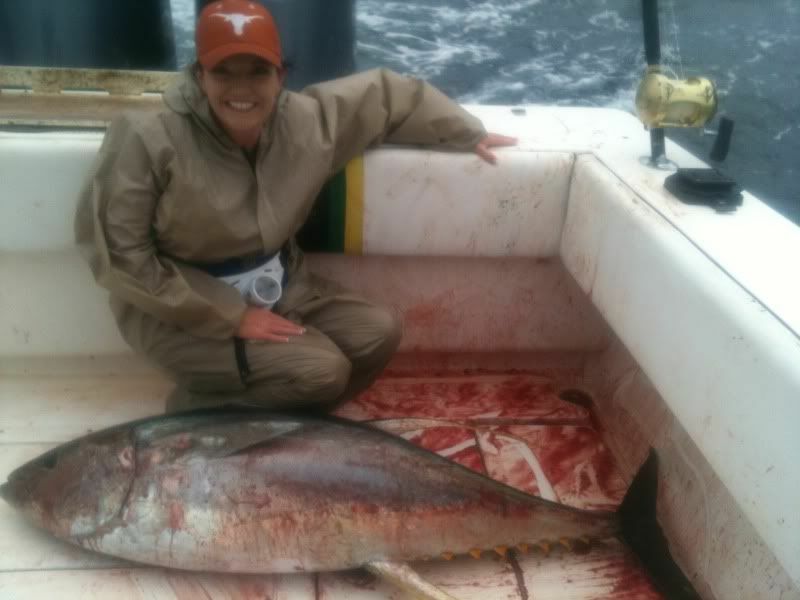 I decided to go check it out and it was full of blackfin and bonito. The water was dirty so I couldnt tell if there were any yf on it although I would bet there was. The bf were just too thick. We were catching them 4 at a time on chunks and poppers. Finally I told the guys we had enouhg of them. 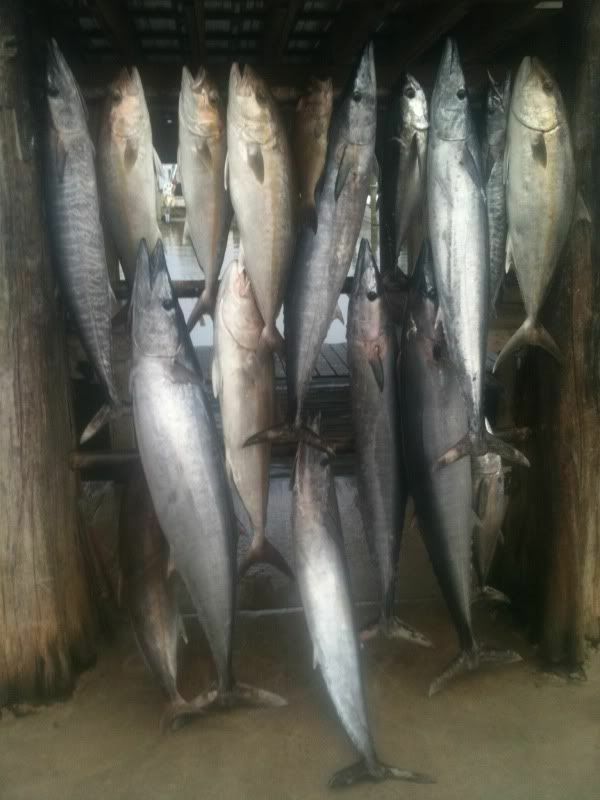 They thought we had put about 10 in the boat when we got back and counted we had caught 18 bf in less then an hour. 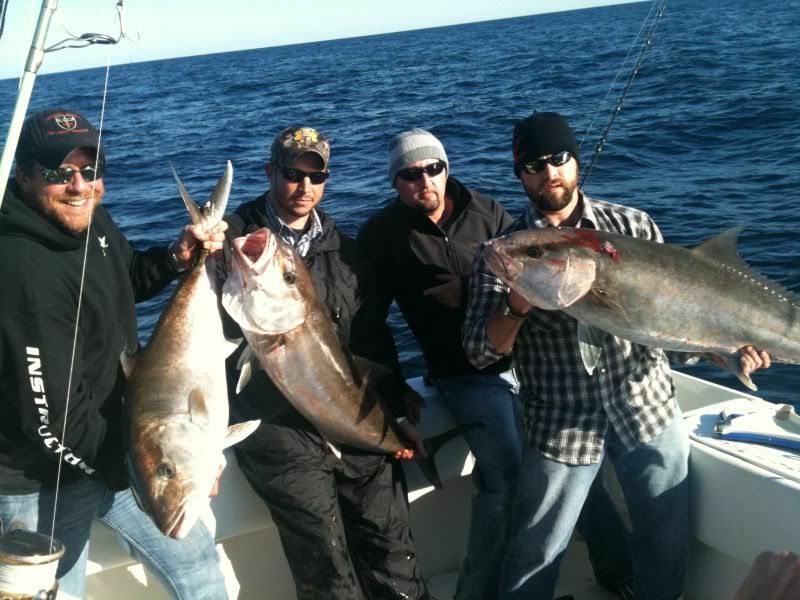 We tried and tried for amberjacks but all we could come up with was jack crevlles adn two cobias so we called it a day and headed to the dock with a full box of fish. On the 5th day I had some guys in from new orleans that were ready to tear up some fish. We started off with the hooters as usual and picked up 4 and a few ajs. 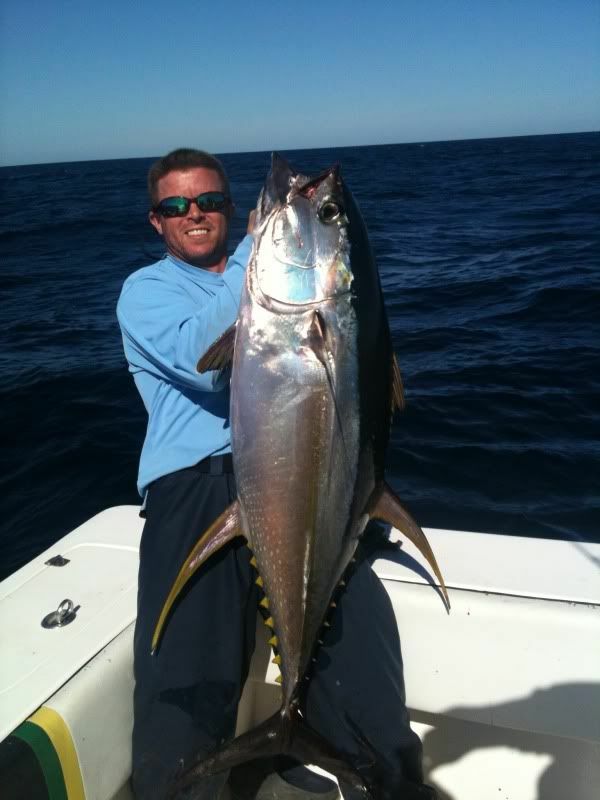 I had heard of some bigger tuna showing up so we rolled over to a chunking spot and let er rip. First drift started off with kings and ended up with a stud. 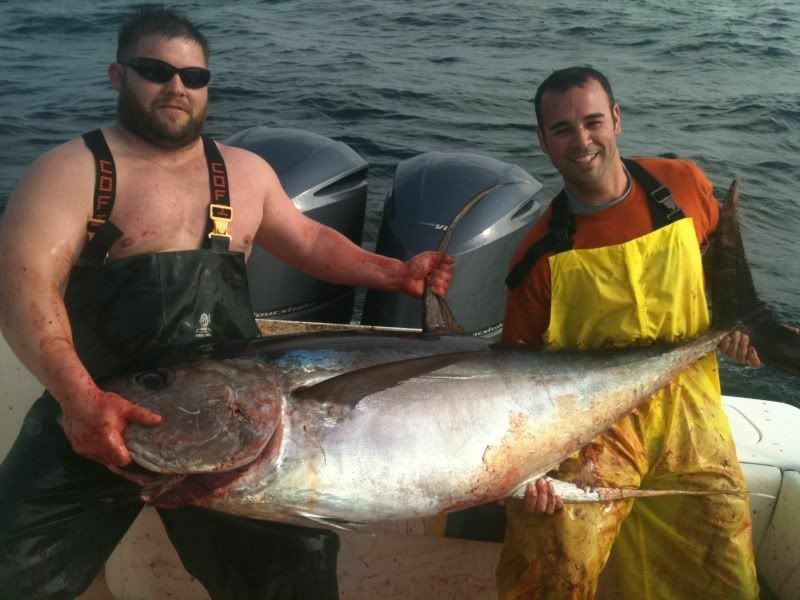 About halfway through the drift we got the hit we were looking for and 45 minutes later we put a 176 in the boat. I believe we missed a couple more yf but we added a 65 pound aj to the box. A mako swam up later in the afternoon but I couldnt get him to come close enough to feed a bait too. 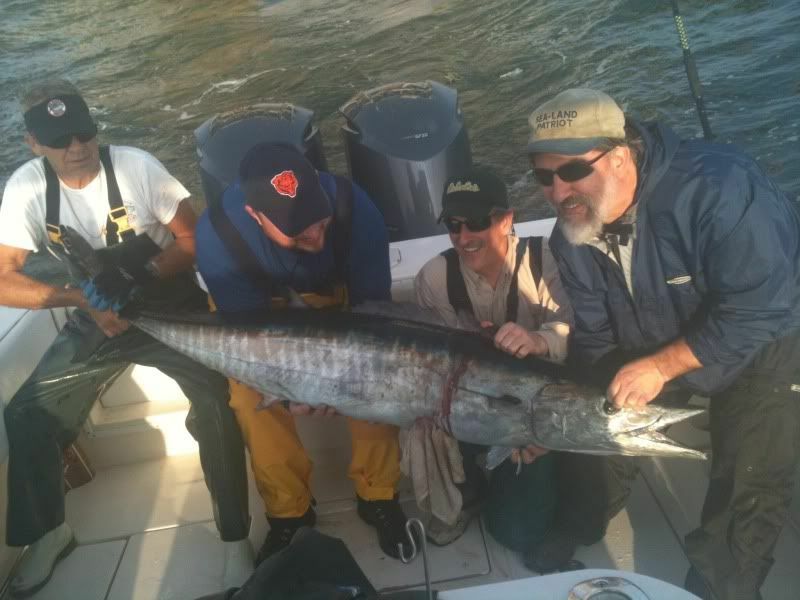 On the last day of my trip I had Sammy and his crew on the boat and we just had one of those days when it came to wahoo bites. 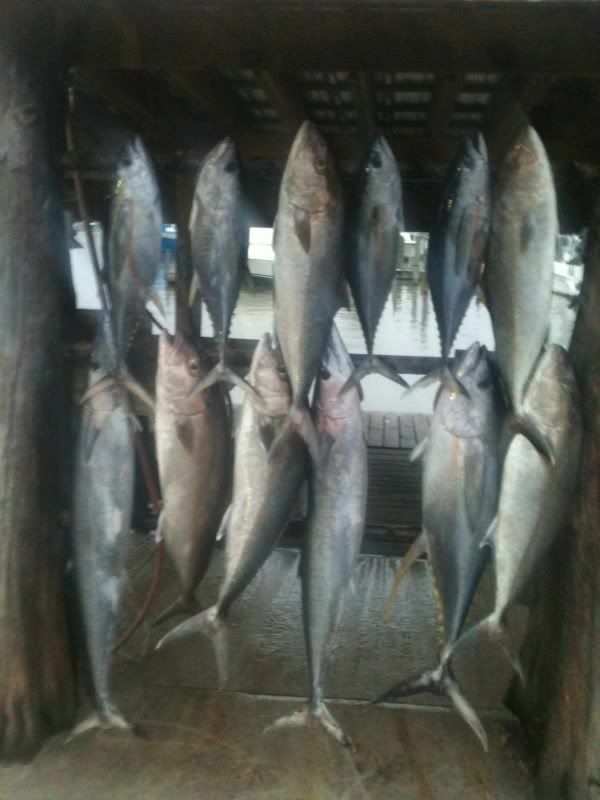 We put eight in the boat but lost more then we caught. The chunk bite was off as we only put two bf in the boat and a bunch of sharks. 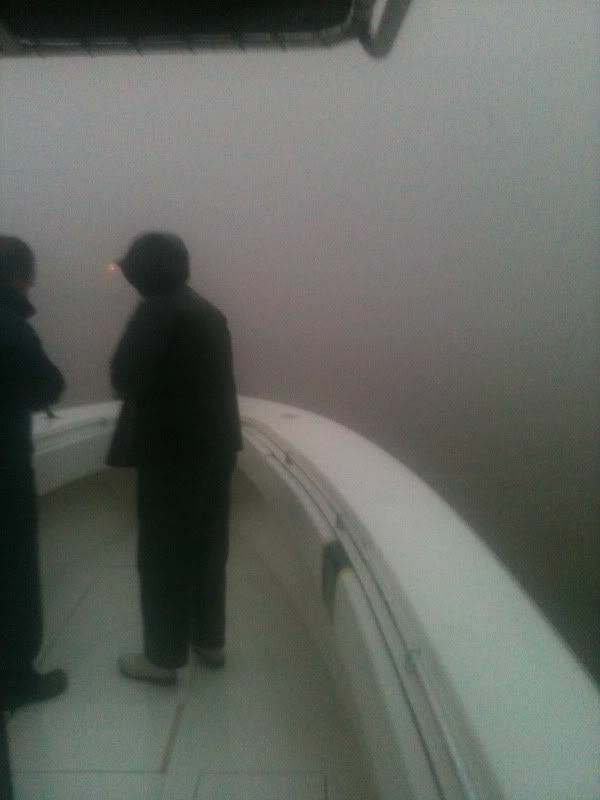 The crew asked me to go fish a shrimper we had seen earlier to get some bf. We pull up on it and its motoring off to the north but it was still culling and had birds on it so we tried anyways. I threw a few pogies in the water and saw some bf and then a yf shot under the boat and ate my bait. After about 40 minutes a 130 pound yf hit the deck. We ran back up to the boat and caught a few more blacks and saw a yf but no luck on hooking him. 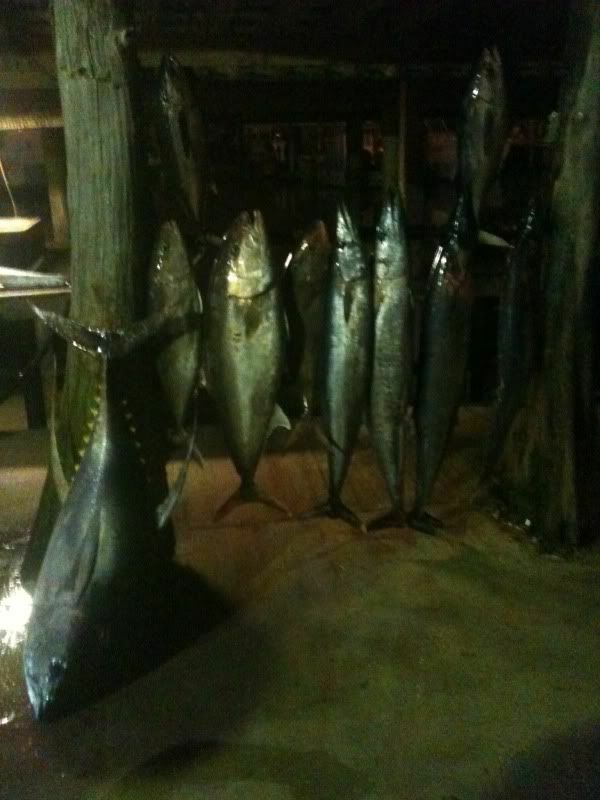 We headed to the dock after that with another box fulla fish.